Artist of the Month: Pennsylvania Chamber Orchestra brings family back with "The Snow Queen Past and Present"
The Pennsylvania Chamber Orchestra, led by Music director Yaniv Attar, will feature the theme "Timeless Treasures" for the 2018-19 season. As part of it 2018-19 season, the orchestra will present The Snow Queen Past and Present at Park Forest Middle School in State College on November 3 at 3 p.m. The PCO, now in its 28th season, has added a modern twist to the story this time, as their special guest narrator will be the “modern Snow Queen” from Frozen in costume. The script has been updated and edited some, telling the original tale of how her story came to be. The narrator will be Carolyn Peck, a native of State College and professional actress who has worked as a character actress at Disney World. Children are encouraged to come dressed as their favorite fairy tale character for the parade. “The Snow Queen” will also meet and greet audience members after the performance. The Hudson Vagabond Puppets consists of professional dancers and actors, performing with giant puppets designed to offer educational and entertaining theater for children and their families. The performances focus not just on the arts, but also the sciences, social studies, language arts, and literacy. Peck currently resides in Wilmington, Delaware, where she enjoys a varied career in the arts as an actress, business owner, and dancer for numerous Delaware arts organizations. In a time when many orchestras are struggling, the PCO is excited to be expanding the number of performances and to finally have a performance “home” for the second year at The State Theatre. “Our continued goal is to become even more visible in the community as the only all-professional chamber orchestra in central PA,” Kroeker says. The PCO’s expanded 2018-2019 season, entitled Timeless Treasures, features performances at The State and other local venues for smaller chamber concerts. The PCO’s holiday concert this year, A Classical Christmas Celebration, will be a collaboration with the Orpheus Singers under the direction of guest conductor Christopher Kiver and will feature highlights from Handel’s Messiah, plus many other seasonal selections for orchestra and choir on December 9. Ten of the orchestra’s wind players will team up on January 18 at Grace Lutheran Church for Winter Winds, performing an eclectic mix of music by composers such as Mozart, Beethoven, Haydn, and Gounod. Music director Yaniv Attar will conduct the PCO’s February 10 concert, Bee is for Bach, with guest flute soloist Naomi Seidman at The State Theatre. The orchestra’s annual Spring Serenade dinner concert at the Tavern Restaurant will occur March 16, and the PCO’s final season concert, Neo-classical Journey, with guest violin soloist Max Zorin, is scheduled for April 14 at The State Theatre. 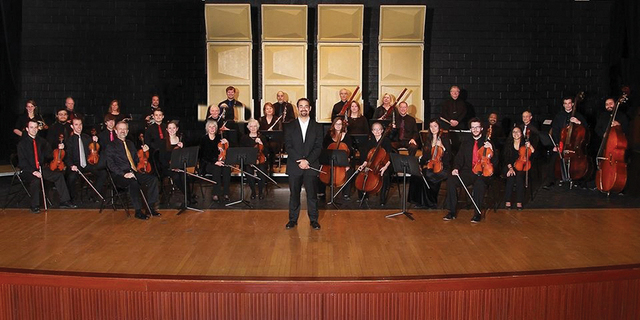 For more information on the Pennsylvania Chamber Orchestra, visit www.pachamberorchestra.org. Jason Klose is a freelance writer from Mifflinburg.